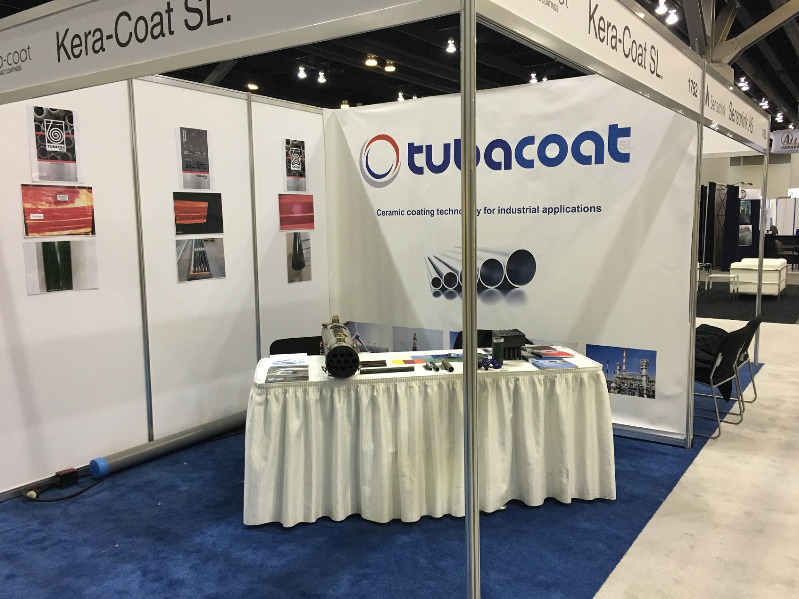 KERA-COAT presented its latest developments at the NACE-Corrosion 2016 International Conference, a key meeting point for industry experts worldwide recently held in Vancouver. NACE International has held, between the 6-10 March, the largest conference and exhibition in the world specializing in corrosion, "Corrosion 2016". This time, 30 years on, the event has returned to Vancouver, Canada, where there have been recent developments in the area from 400 exhibitors from over 60 countries worldwide, conformed by professionals from the fastest growing corrosion industry sectors, among which we can highlight water pipes, oil and gas, coatings, cathodic protection, chemicals, water, and nuclear energy. The congress has also counted on the presence of some of the great experts in the field, such as Dr. Mark Shuster from Shell, who has researched laser-sintering processes of ceramic coatings applied by Thermal Spray. One more year, the event has broken attendance records bringing together over 6,000 participants. Corrosion engineers, scientists, researchers, technicians and other professionals have come together in Vancouver and valued the congress very positively. This has been an excellent opportunity to exchange knowledge and experiences with other industry professionals. KERA-COAT presented its latest developments at the Congress at a stand with real prototypes based on ceramic coatings with thermal and corrosion resistance applied to the inner and / or outer tubes, and a 2 KW condenser validated in pellet combustion processes. Thus, the presence of KERA-COAT in this forum has strengthened its position in strategic markets offering solutions based on ceramic coatings for critical industrial processes in terms of corrosion. The presence of leading companies such as Shell and British Petroleum has been crucial in order to begin collaborations that will soon lead to joint projects.